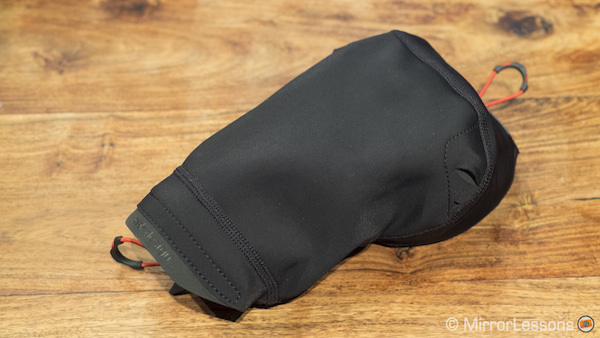 A common concern for those of us who own mirrorless gear that isn’t completely dust, moisture and freeze proof – and let’s face it, most of us own at least one body or lens that isn’t weather-sealed – is protecting it from the elements. 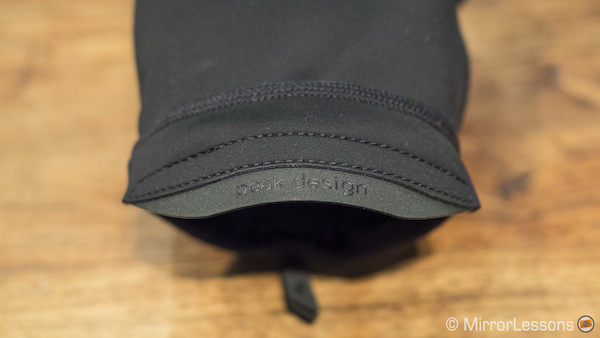 In response, Peak Design has come up with a solution in the form of the Peak Design Shell, a lightweight camera cover made of stretchy waterproof fabric that fits any interchangeable lens camera system. The Shell comes in three different sizes – small, medium and large – and as you’ve probably guessed, the smallest size is most appropriate for mirrorless systems and most lenses. I say “most” because some of the latest telephoto and professional lenses venture into DSLR territory in terms of size, so if that is what you plan on using, you may want to go one size bigger. Below are a few examples of potential mirrorless camera/lens combinations you could use with the Small Shell. 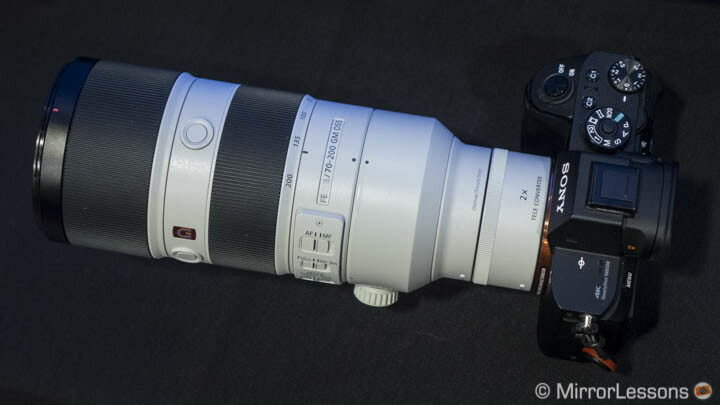 I personally found that its dimensions suit the more professional bodies and the length and girth of lenses similar in the size to the M.Zuiko 12-40mm f/2.8 (which ironically is completely weather-sealed). 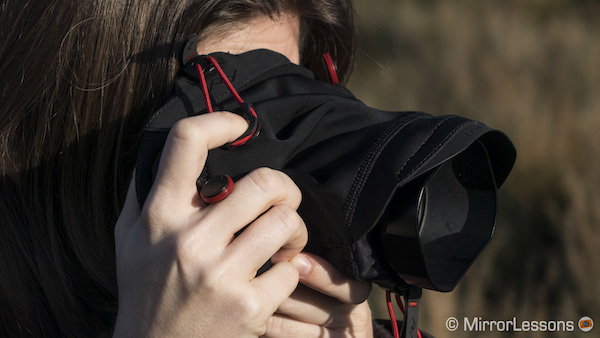 The primary task of the Shell is to protect your camera from inclement weather, and to this end, it performs very well. In truly terrible weather or when the camera isn’t being used, you can cinch the fabric closed so that no dust or moisture can get in. This is achieved by pulling the fabric over the rear of the camera and the lens and tugging on the two red cords. 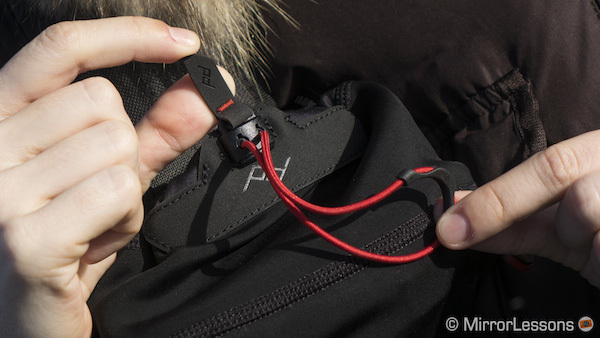 Alternatively, you can loosen the cords by tugging on the grey Peak Design pull-tabs when you plan on shooting. This will once again give you access to the rear controls of your camera and will make it possible to see through the lens. Overall, this tightening/loosening mechanism works very well. 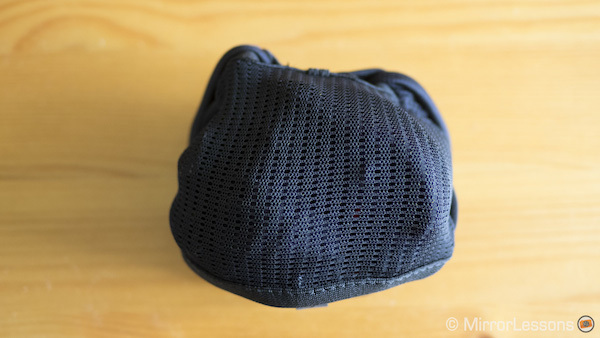 The end of the Shell features a brim, much like that of a baseball cap, so that if you decide to tighten the fabric at the end of the lens barrel, you will gain some extra protection as you shoot. Keep in mind that the smaller your lens is, the harder it is to keep the excess fabric from blocking the front element. Lenses with lens hoods tend to work better because the hood stops from the fabric from advancing over the front of the barrel. According to the Peak Design website, the Shell has a lifetime guarantee. This doesn’t surprise me as the fabric seems very well-made and durable, and can easily be stretched and pulled without fear of ripping the waterproof membrane. 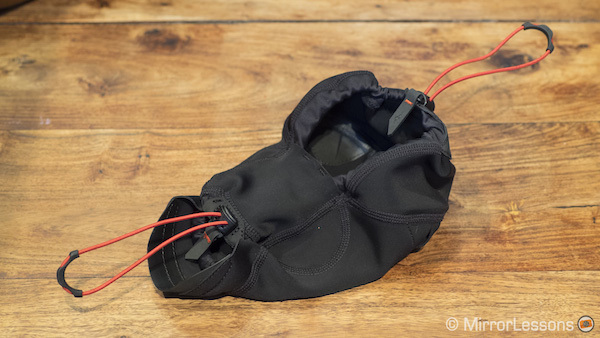 And at only 113 grams, it doesn’t add any extra bulk to your gear and can even be rolled up into its built-in storage pocket. 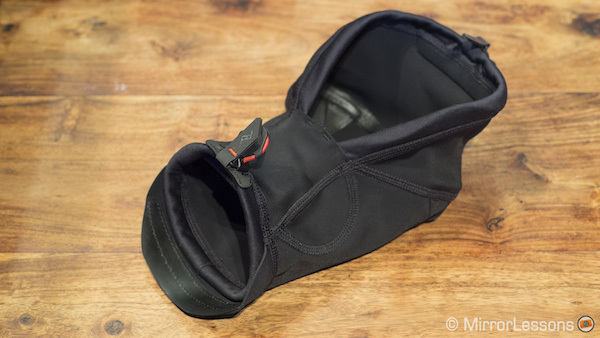 The Shell is ideally meant to be used with either the Peak Design Capture Clip (review here) or one of Peak Design’s straps (the Slide, Slide Lite or Leash). 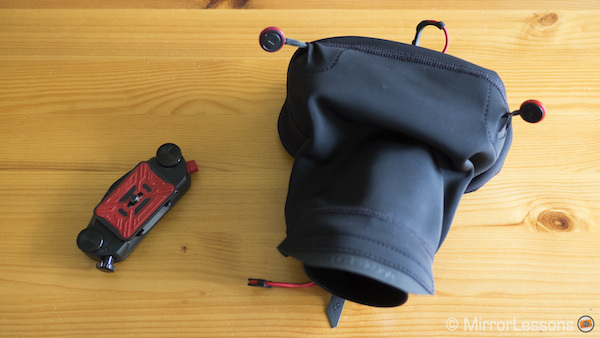 I have to say that I found sliding the camera onto the Capture Clip with the Shell already attached was more challenging than I’d expected because the fabric would sometimes obstruct the passage of the quick-release plate into the mount. 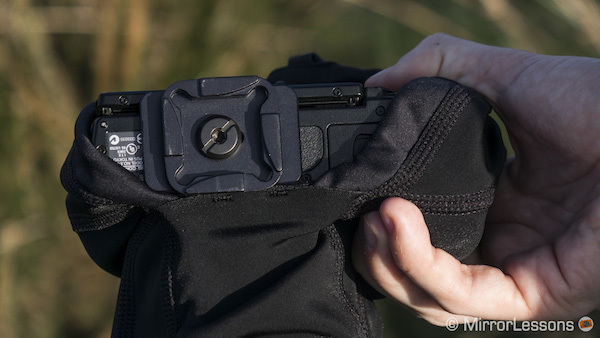 It is actually easier to attach the camera to the Clip first and slide the Shell on afterwards. If you want to use a Peak Design strap with the Shell instead, you must first thread the Anchor Links through the Shell’s dedicated anchor ports. The process can be a bit fiddly because there is little room between the Shell and camera body for your fingers to push the anchors through but I freely admit that I cannot think of a better alternative. 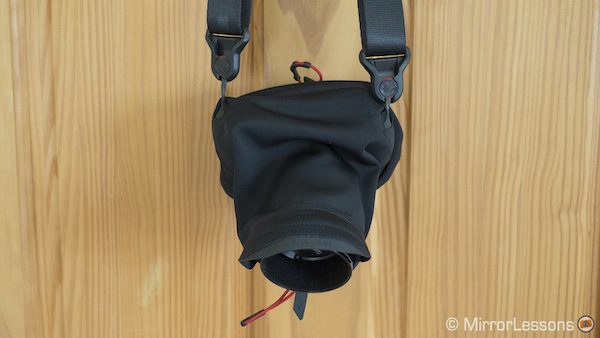 Something that the Peak Design designers may not have taken into account when designing the Shell is that the shoulder strap eyelets of some mirrorless cameras aren’t symmetrically placed. If you look at the GX8, for example, you’ll notice that the left eyelet is lower down and sits farther from the rear than the right eyelet. The E-M1, too, has asymmetrically placed eyelets. Why is this an issue when using the Shell? Well, it means that you can feed less of the right anchor through the port. As a result, it is also more difficult (but not impossible) to attach the strap. Of course, this isn’t a deal-breaker. 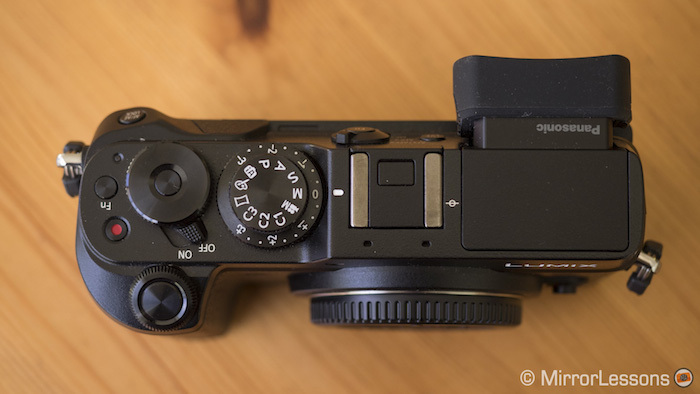 It simply means that mirrorless cameras with symmetrically placed eyelets (Sony A7r II or Fujifilm X-T1) are a better fit than ones with asymmetrically placed eyelets (Lumix GX8 or Olympus E-M1). You may also be wondering how comfortable it is to shoot with the Shell attached. 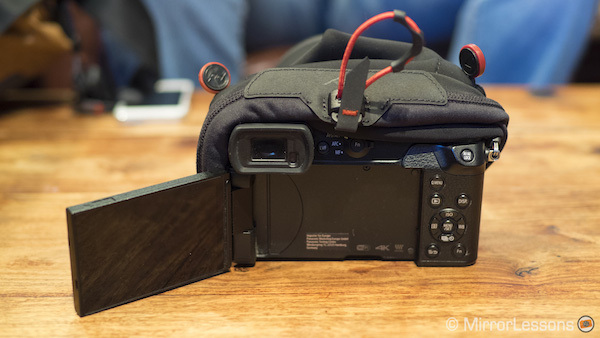 In my experience, it is easy enough to lift the fabric to reveal the LCD, EVF and rear controls but doing so exposes the sides of your camera body to the elements. 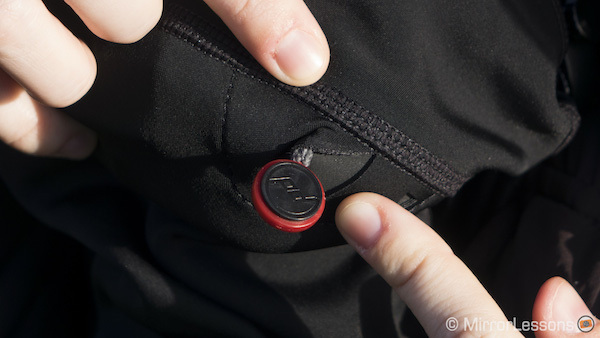 It is also difficult to feel for the shutter button through the fabric unless its presence is accentuated by a raised soft button, and turning the zoom or focus ring can be quite awkward. At most, I’d use the camera with the Shell to grab a quick shot or two, after which I’d be inclined to remove it. In the official video, Peak Design admits that it isn’t a comfortable solution for long shoots (min. 4:45) because its main purpose is to cover and protect your gear when you aren’t shooting. Having used the Shell for a few weeks now, I am left with mixed feelings. 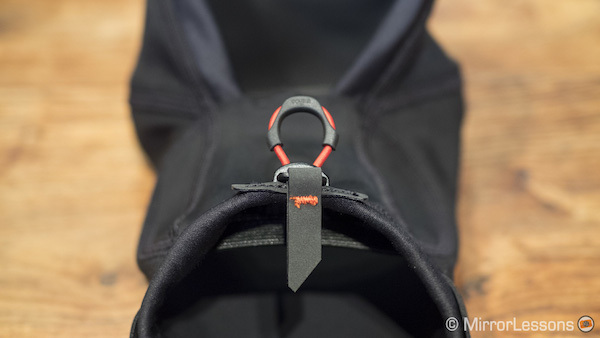 If you are an avid trekker or adventure photographer who regularly uses the Capture Clip and/or Anchor Link system, it could be a useful accessory to have, especially if some of your gear isn’t weatherproof and you often encounter extreme weather conditions. 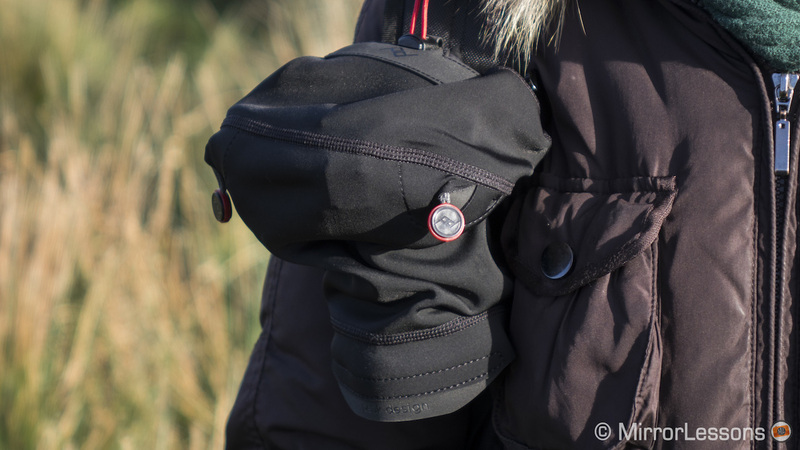 However, if you aren’t particularly outdoorsy or interested in shooting in challenging conditions, you could probably get on just as well with an inexpensive rain sleeve or by storing their camera inside a backpack when shooting isn’t on the cards. This is especially true for those who do not own (and do not intend to buy) either the Capture Clip or a Peak Design strap with Anchor Links, as the Shell has been designed to work in conjunction with these products.